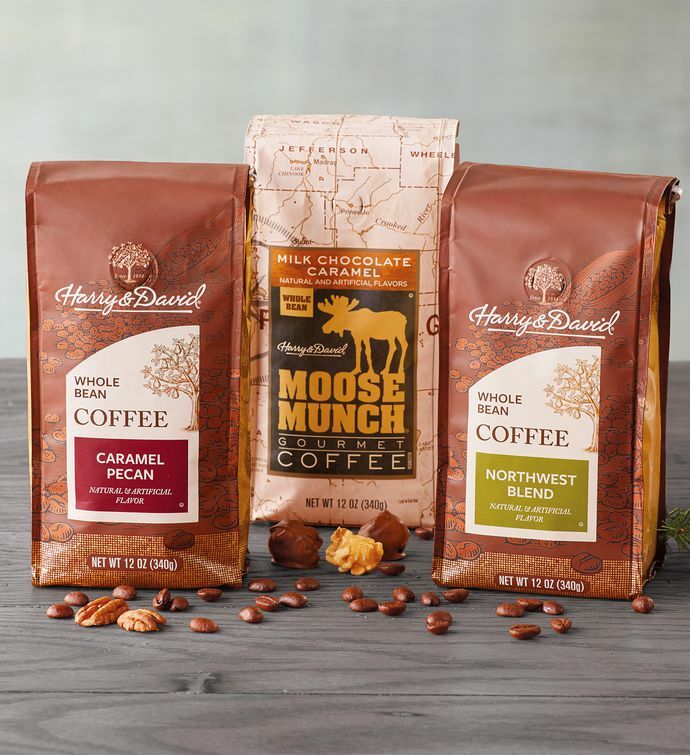 The Favorite Coffee 3 Pack includes three of our most popular gourmet coffees. 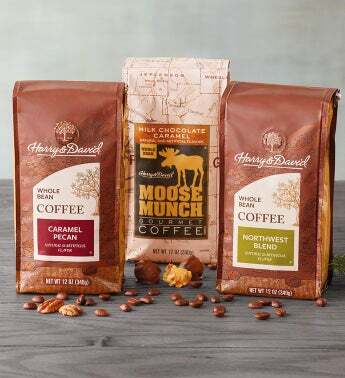 There's the elegant and sweet caramel pecan, the rich and buttery Moose Munch® flavor and the Northwest Blend, which has flavors of hazelnut, praline and cinnamon. It's hard to go wrong with coffee, but this three-pack sets the bar pretty high. From your early morning kick in the pants to your after-dinner sipping, these gourmet whole bean coffees are certain to satisfy. Full of robust flavor, these coffees can be made even more decadent by adding a little cream and honey. However you enjoy your cup of joe, we're sure you'll like these flavors.